Happy Sunday! What says spring time more than a chiffon floral dress like these beauties? I spent a little time online browsing and dropped a few items that I am craving right now from an online shop I just discovered, Rosegal. The pieces I curated for this post are all under $20, like this gorgeous off-the-shoulder chiffon floral dress is just $15, I know, close your mouth. This spring/summer I am all about classic, easy style. 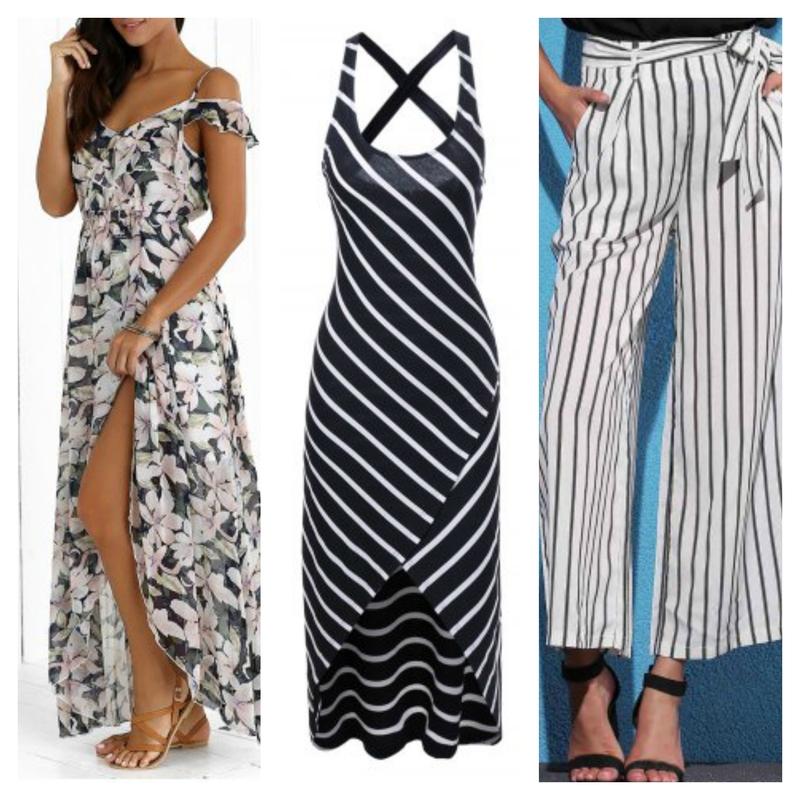 What can be easier than a fem, floral print dress for brunch with friends or an evening date with your hubby or palazzo pants paired with a tee and kids for all the in-between? Comfortable, simple and classic! Sign me up! Follow links below for pieces shown. Cute! I'm totally going to check this site out. Maxi dresses are my fave! I am really loving the one on the left!!! Love that white and black striped pants. Rosegal does have some very pretty and unique pieces. Goodbye April, oh hello May!